She used the glossy accents on this card. I’ve got to learn how to use it and not to get it all over the place. Fence Cutter Border. Instructions on YouTube. Stamped the tag with Birthday Wishes and added a gift card. Look on YouTube how to score, distress and pop up the fence. Made this cross-cross card with a pull out card for a message. Used CC Designs Rubber Stamps Spring Trevor. Made these Easter Treat bags for my co-workers. Look on YouTube for the instructions. Used Cracked Lula from CC Designs Rubber Stamps. Used the Memory Box Bella Bouquet. Here is Spring Emma again, just changed her hair color. 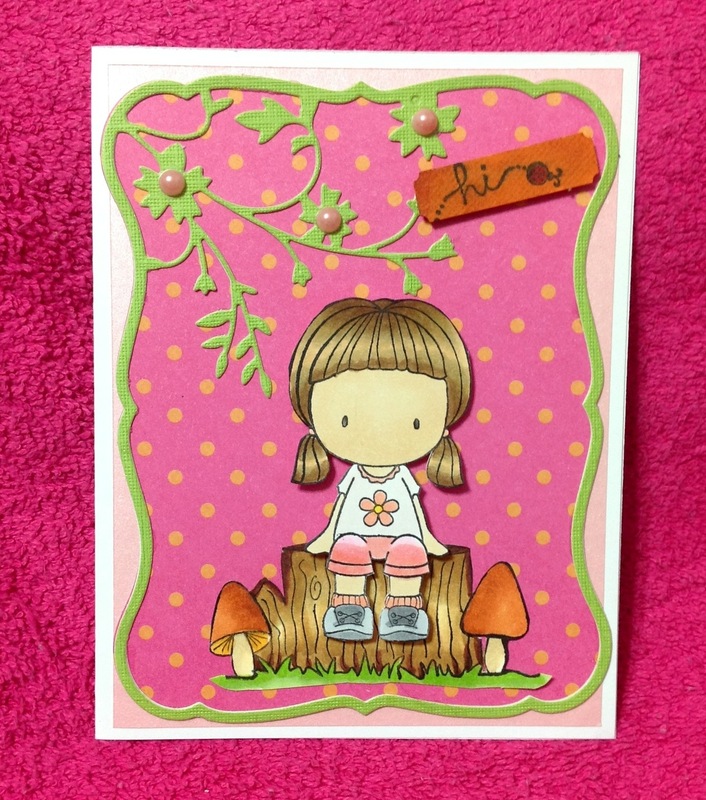 Added a stump from CC Designs Rubber Stamps. Used 2 Memory Box dies: Debutante Frame and Honey Blossom Frame. Tip: Use the Metal Adaptor Plate with the Honey Blossom Frame. Dies and plate found on All Natural Accents. 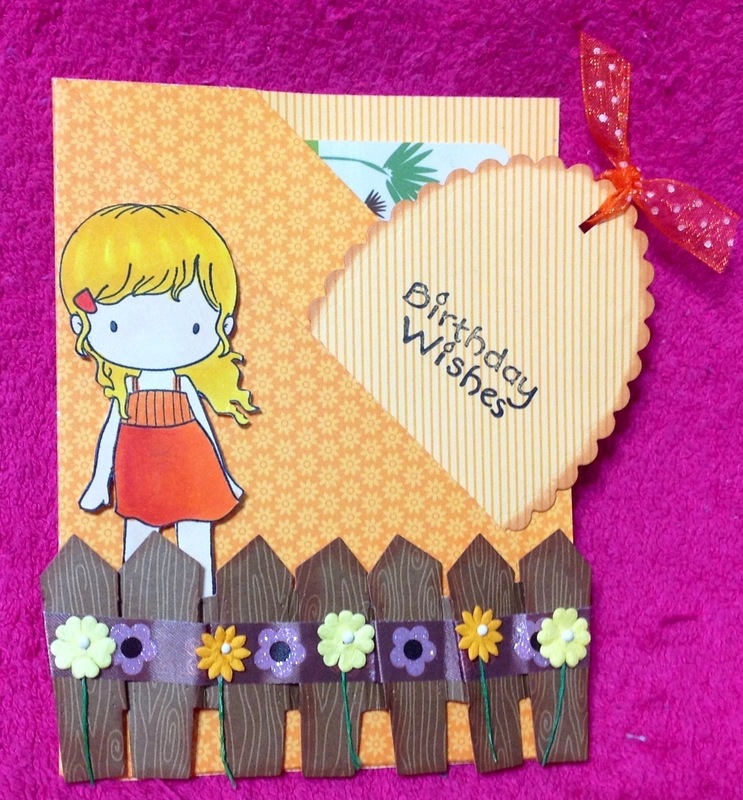 Made this Spring card using CC Designs Rubber Stamps Spring Emma. The swing is a separate stamp. Used the Memory Box dies: Debutante Frame and Orchard Tree Frame. Tip: use the Metal Adaptor Plate with Orchard Tree Frame. Found on All Natural Accents and flowers, too. 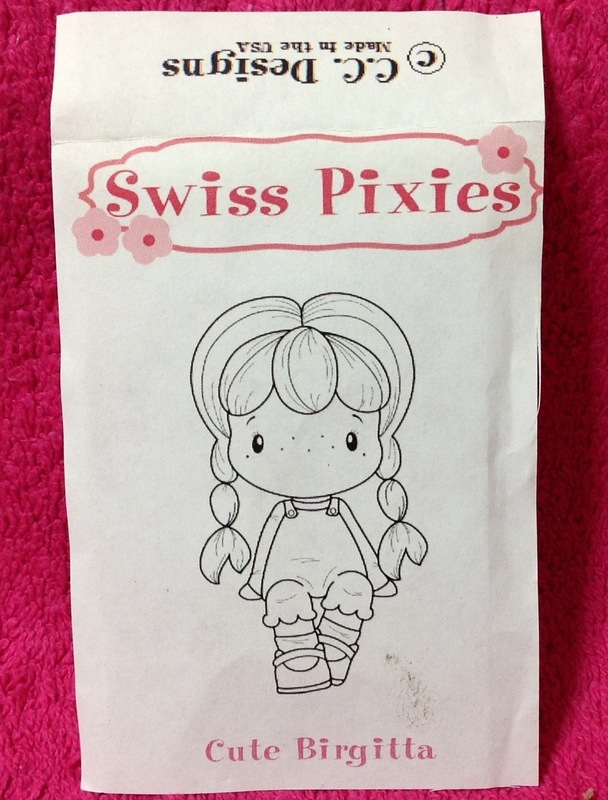 I bought this adhesive remover from Cute Stuff. When I glued down the Orchard Tree Frame to the Debutante Frame, I was kind of messy. I could see the glue on the card. Well you take the adhesive remover—like an eraser and rub it on the glue and it disappears. Went to Ben Franklin Market City yesterday and saw a demo from Celebrations. Showed how to make a rosé on a gift bag. So cute! There were other Make ‘n Takes going on throughout the day. Lucky numbers were called and I won these stamps from Dandelion Designs. Trinidad made this wedding card using the Cricut Sweetheart cartridge. 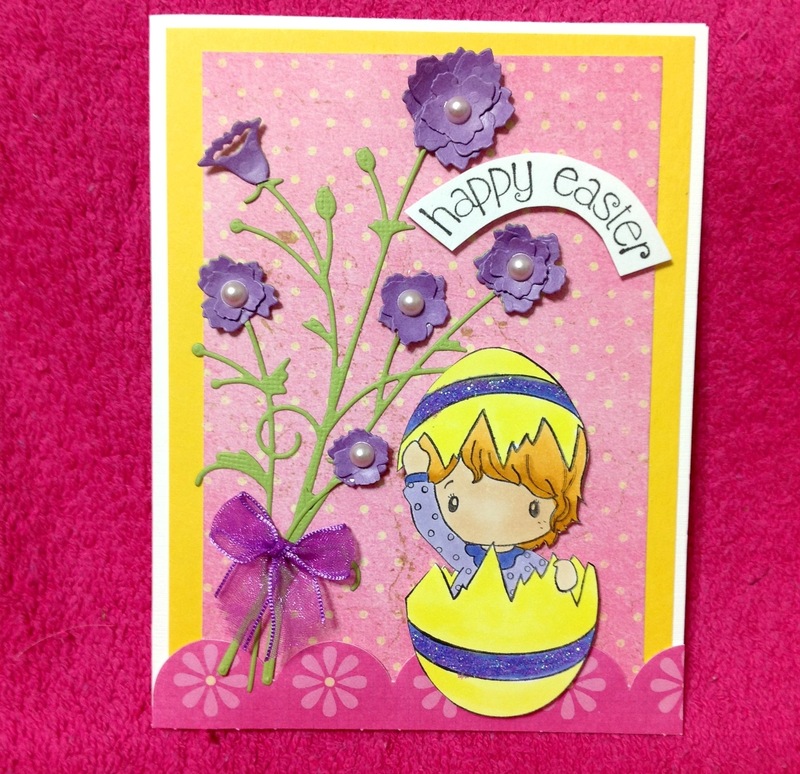 Used the CC Designs Rubber Stamp Easter Emma. 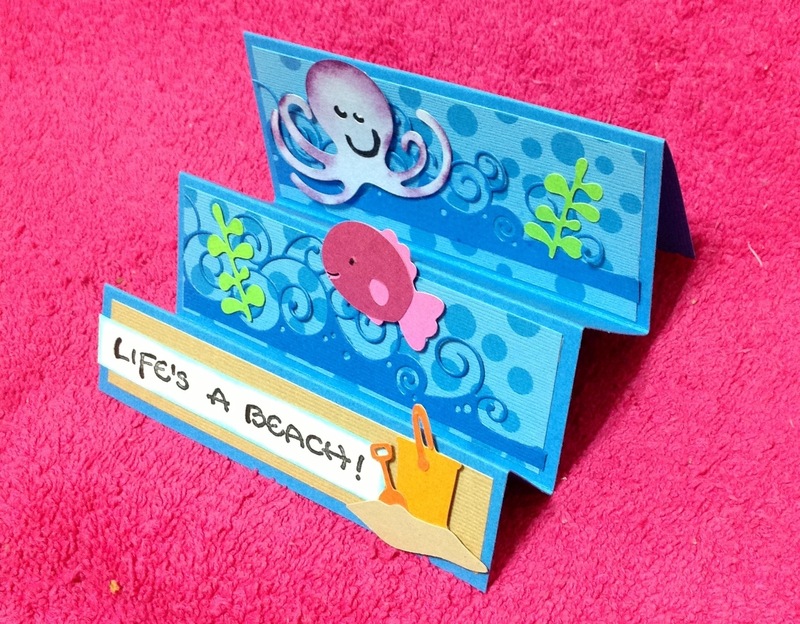 Made a flip it card using the Sizzix die. 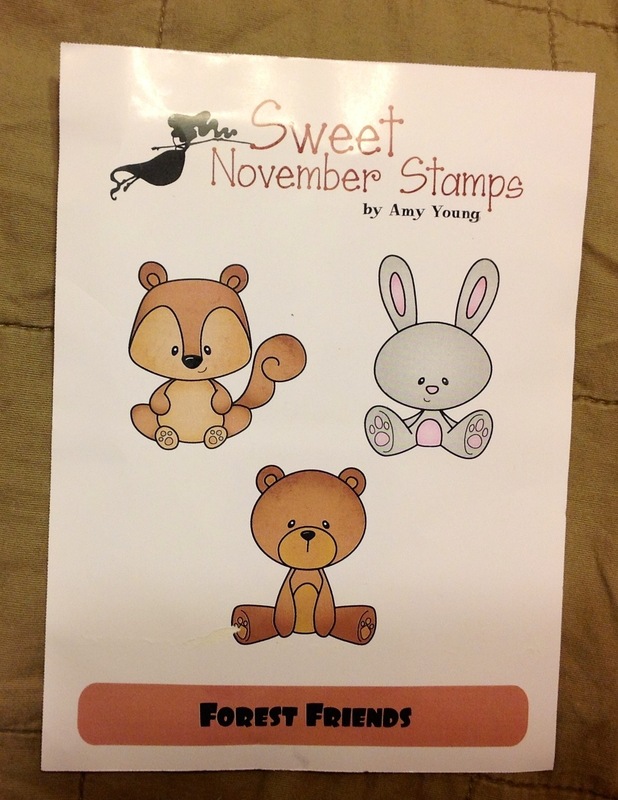 On the front, used the Memory Box Quinn Flourish on Amy Young’s Forest Animals. Memory Box found on All Natural Accents. 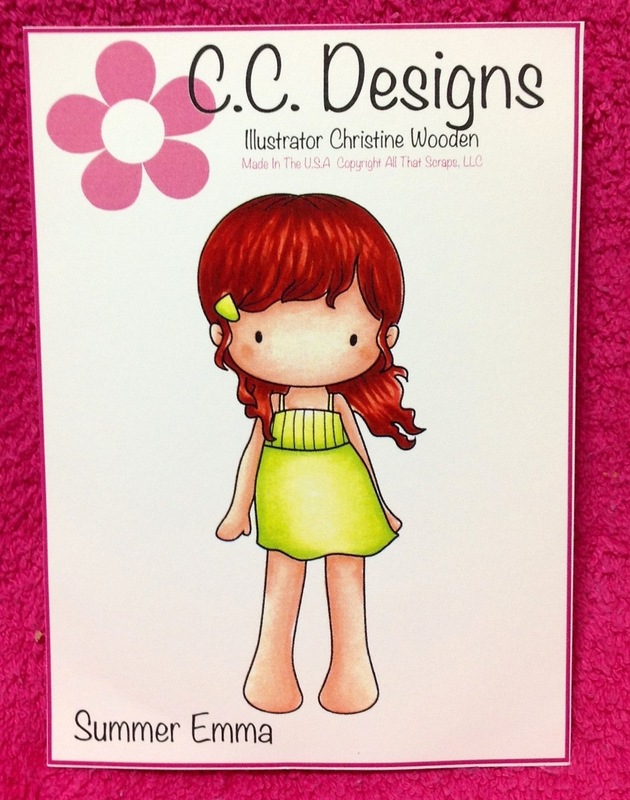 Here is Summer Emma from CC Designs Rubber Stamp. Carol made an Easter card using the Tags, Bags, Boxes & More 2 cartridge. She used the clouds and sentiment from the cartridge. Grass was from Martha Stewart and bunny from Kitty Bee. I made a step card using 3 cartridges. These are the cartridges. Wave is from Memory Box Big Splash Border. Found on All Natural Accents. Did anyone sign up for April? Used the Marianne Design Creatables. 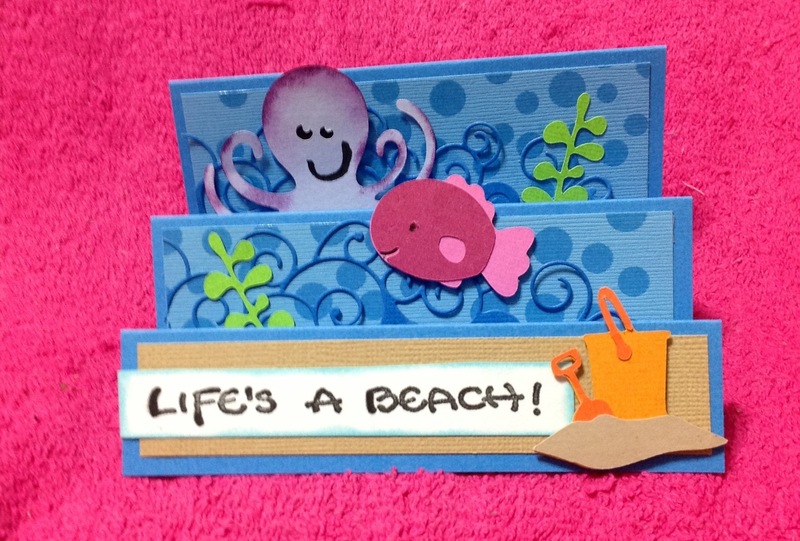 Creatables are for embossing and cutting paper. I used the Memory Box Metal Adaptor Plate with the Creatables. Creatables and Metal Adaptor Plate found on All Natural Accents. Used the Memory Box Fairytale Flower Border and flowers from All Natural Accents. 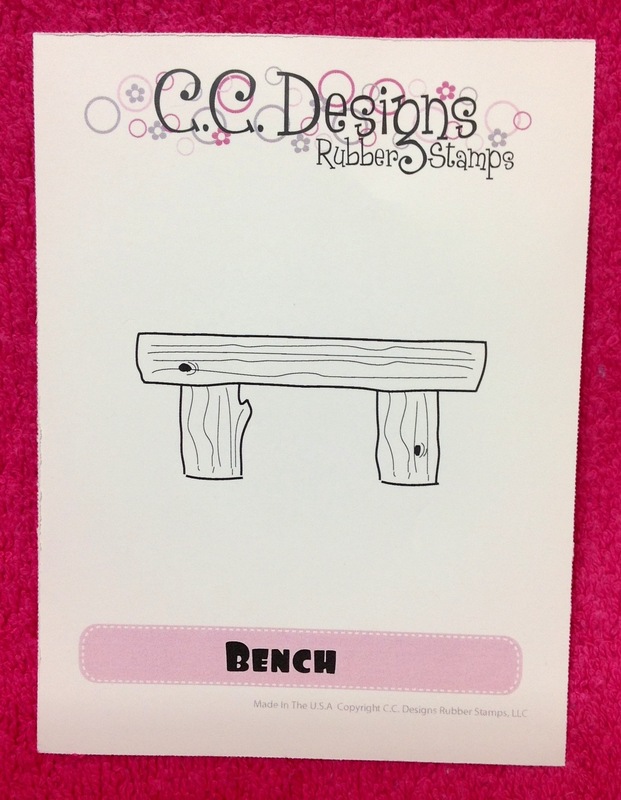 From the CC Designs Rubber Stamps Cute Birgitta and Bench. March ATCs was the theme Easter. Look how cute. 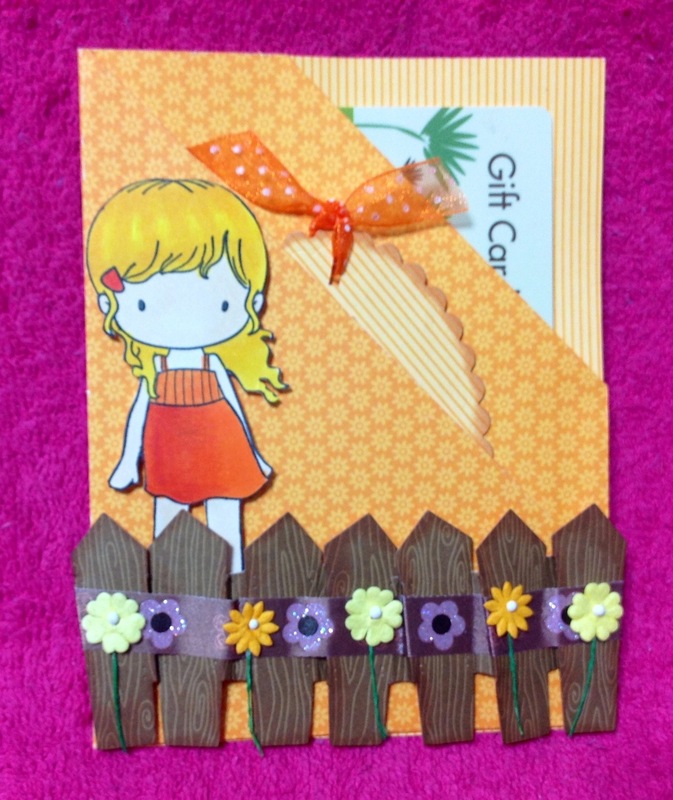 Taught how to make a Locking Gate Card. Georgette came to the make ‘n take. She gave me this Chinese New Year card. Look at the details. She is a very talented crafter!!! Awesome card, thank you! Did you have corn beef and cabbage? 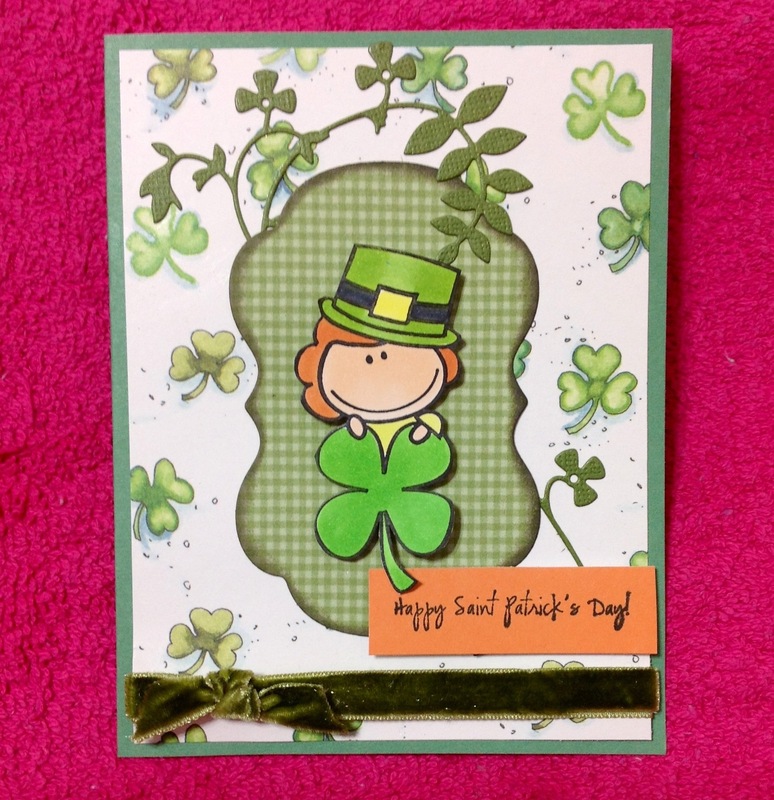 Card made by Anne F.
She used the leprechaun from the Cricut cartridge Simply Charmed. 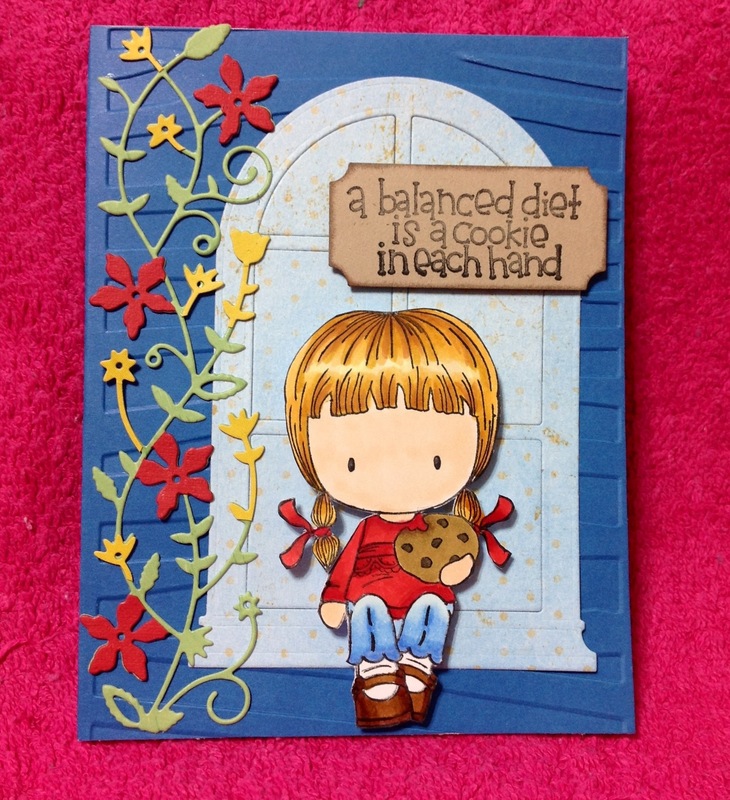 Made this card using Cookie Emma from CC Designs Rubber Stamps. Used the Poppy Stamps Grand Madison Arched Window die. On this card I tried to make the window look like a door. Used the Memory Box Fairytale Flower Border. 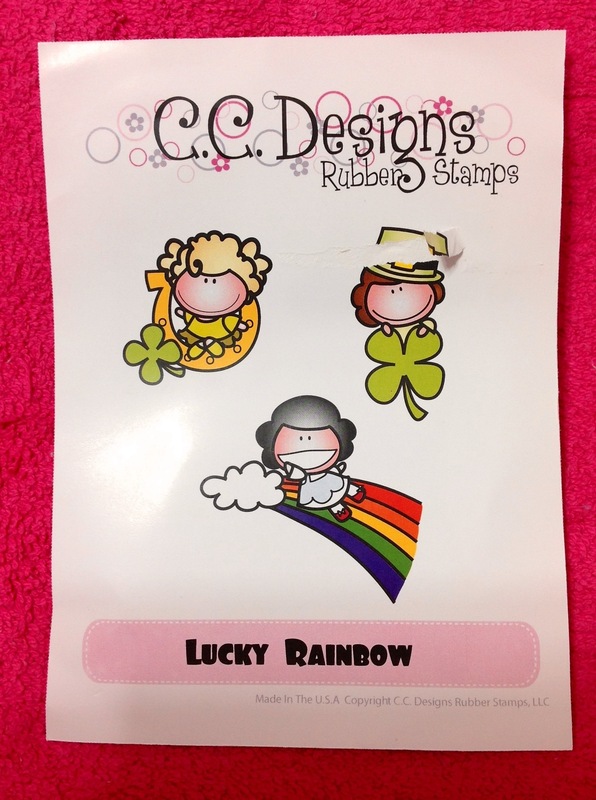 Amy R Stamps Lucky Sentiments. Also added Puffy Clouds from the Memory Box. 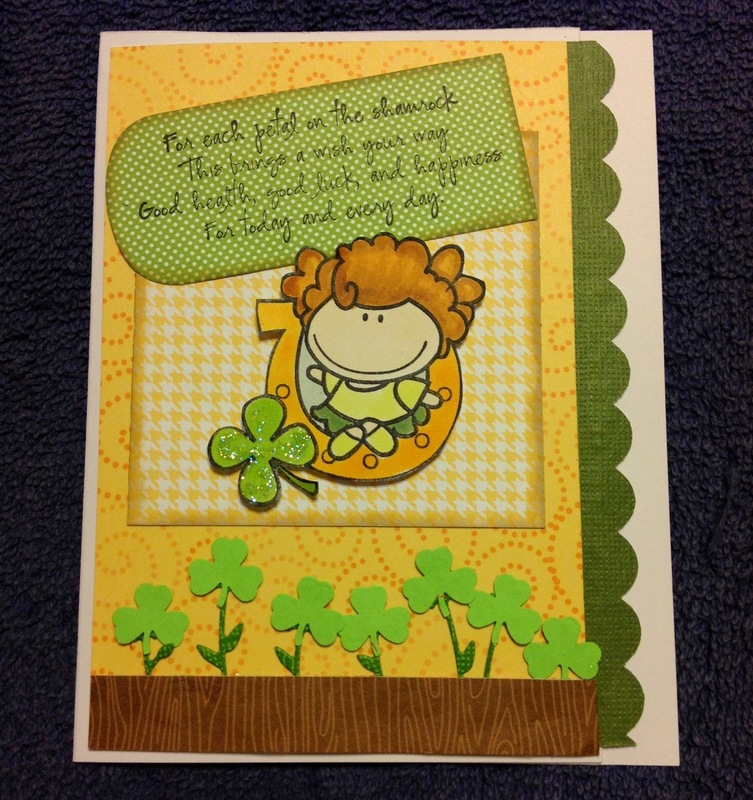 Made a St. Patty’s Day card using the CC Designs Rubber Stamps Meoples Lucky Rainbow set and the Lucky Sentiments from Amy R Stamps. 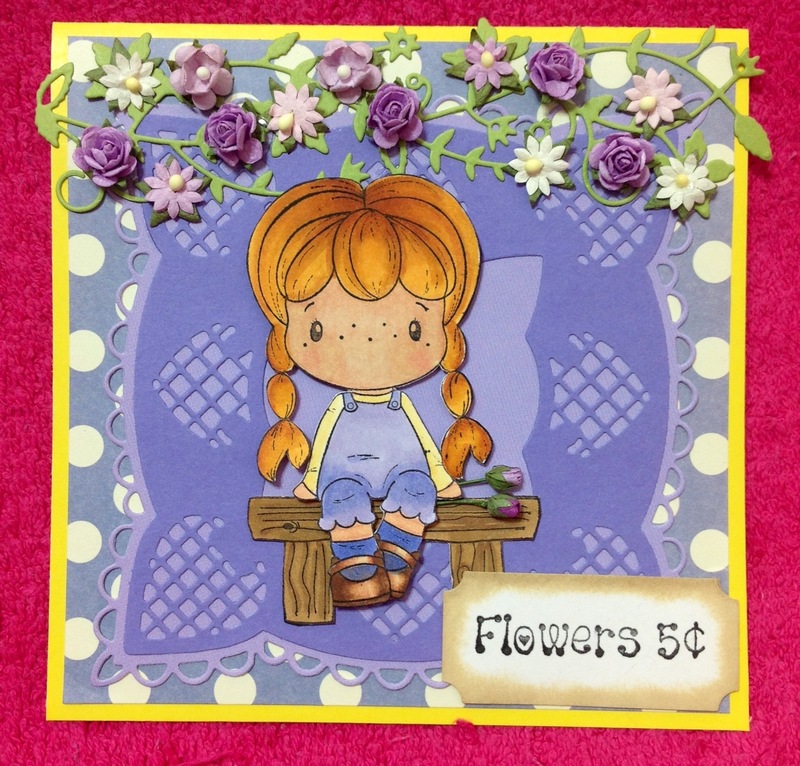 Used the Poppy Stamp Wildflower Patch die. Found on All Natural Accents. Check out my friends blog, Access in Hawaii. My friend just started a blog called Access in Hawaii. She will be visiting businesses and restaurants and blogging about how accessible these locations are for wheelchair bound patrons. Went to dinner at CPK Kahala. Got these used crayons that was going to be trashed. What a waste so I asked if I could have them. There are classes who could use them at my school. Thanks CPK!!! Used the stamp from Kitty Bee Designs. Used the Memory Box Tupelo Circle. Found on All Natural Accents. Easter is on Match 31. 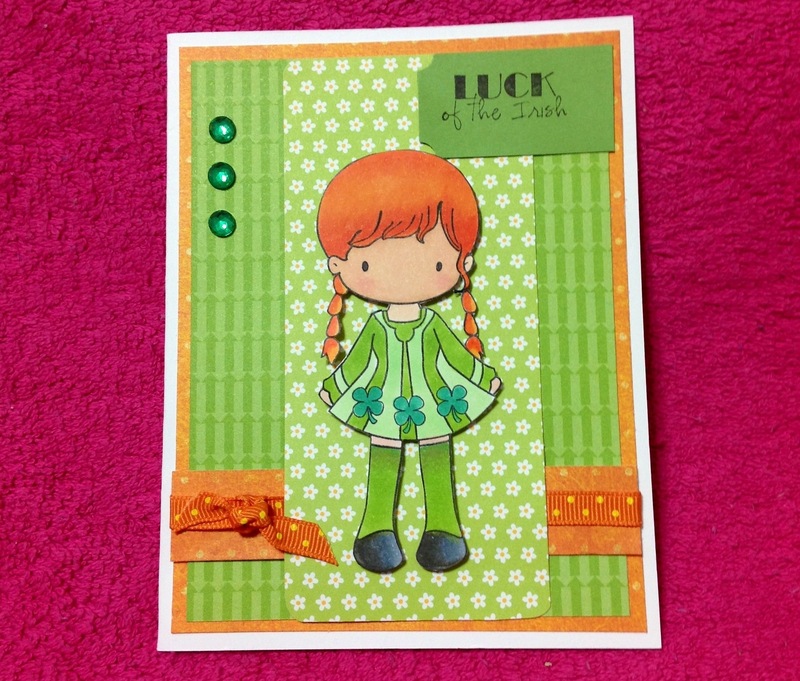 Made this card using the CC Designs Rubber Stamps Irish Emma. 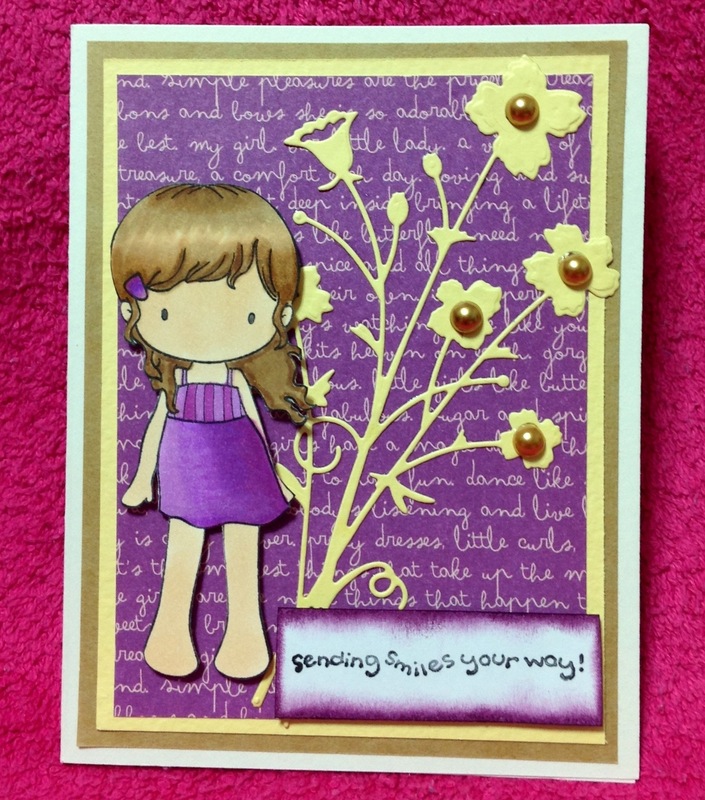 Also used Amy R Stamps Lucky Sentiments. Made this St. Patrick’s Day card. 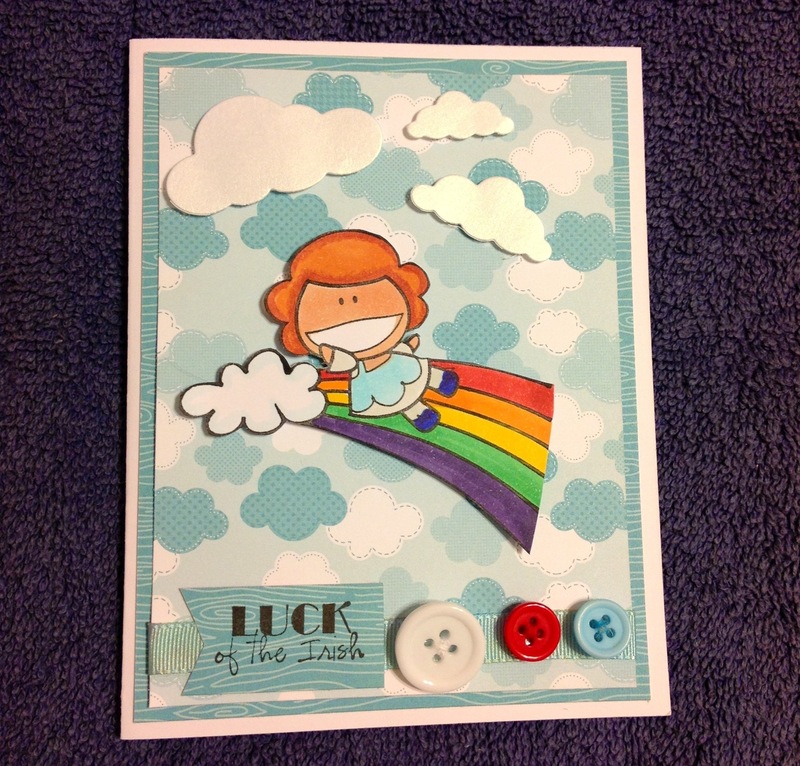 and Lucky Sentiments from Amy R Stamps. Used the Memory Box Blooming Vine. 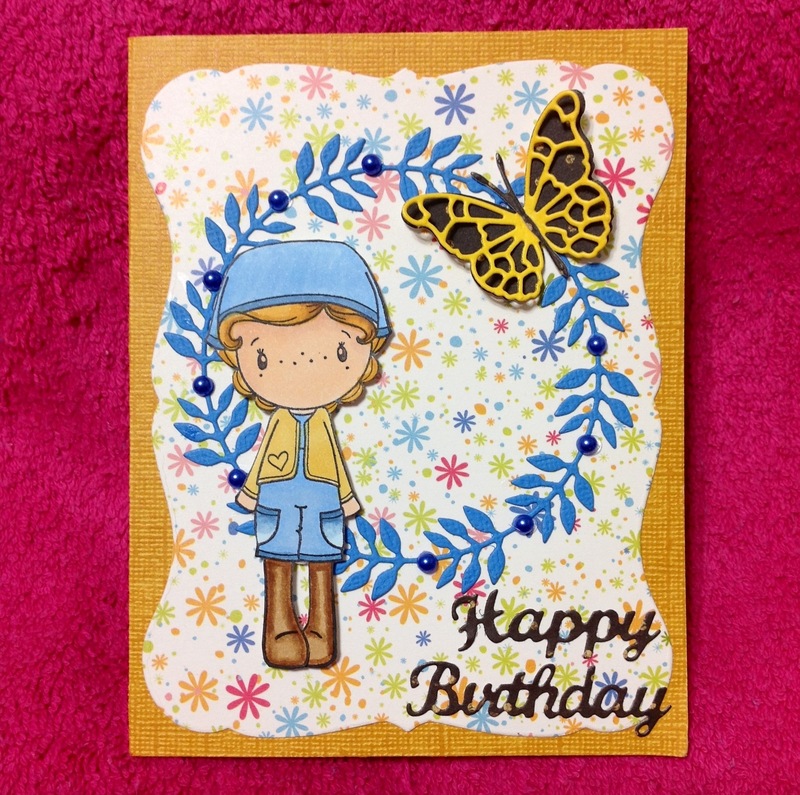 Another card using the CC Designs Rubber Stamps Kerchief Birgitta. Used a new Memory Box die called Tupelo Circle. Also used my favorite die, the Debutante Frame. Found on All Natural Accents. 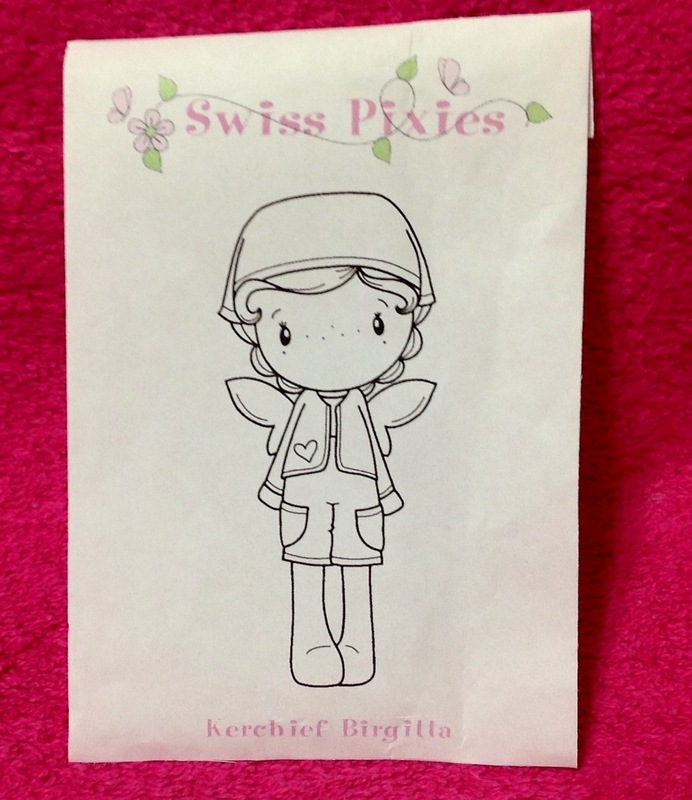 Added the butterfly dies from the Memory Box called Pippi and Isabella Butterfly. Made another Thank You card using the CC Designs Rubber Stamps Kerchief Birgitta. I also altered the stamp. Used a new Memory Box die called Honey Blossom Frame. Tip: Use the metal adaptor plate to get a clean cut. Also used my favorite Memory Box Debutante Frame. Added some bling- bling on the flowers. 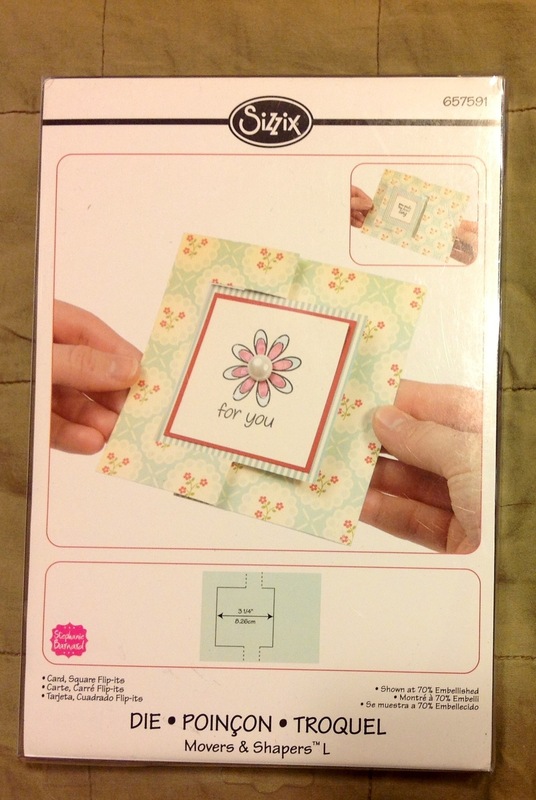 Giving this card and matching unused stamp to someone special. 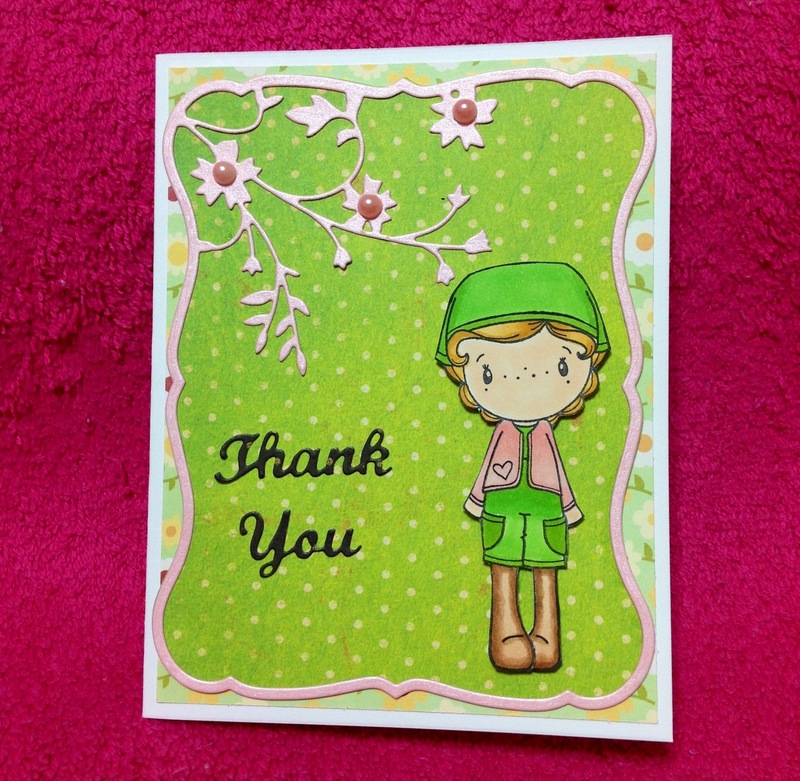 Made a thank you card using the CC Designs Rubber Stamps Kerchief Birgitta. Added bling-blings to the flowers. 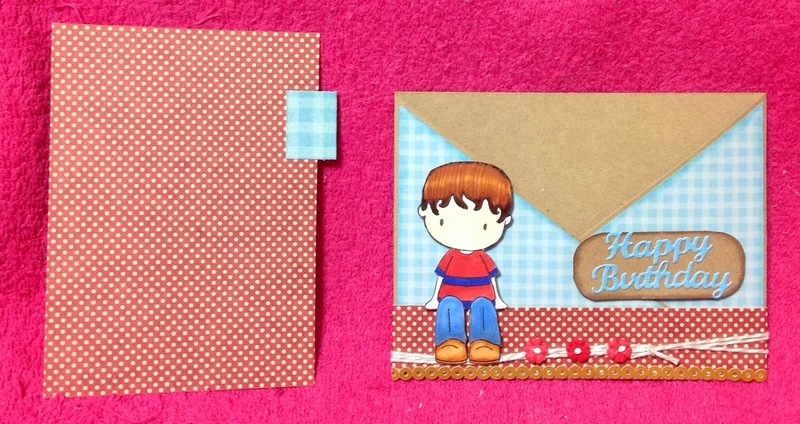 Someone special will be receiving this card and matching unused stamp. Green theme going on for March. 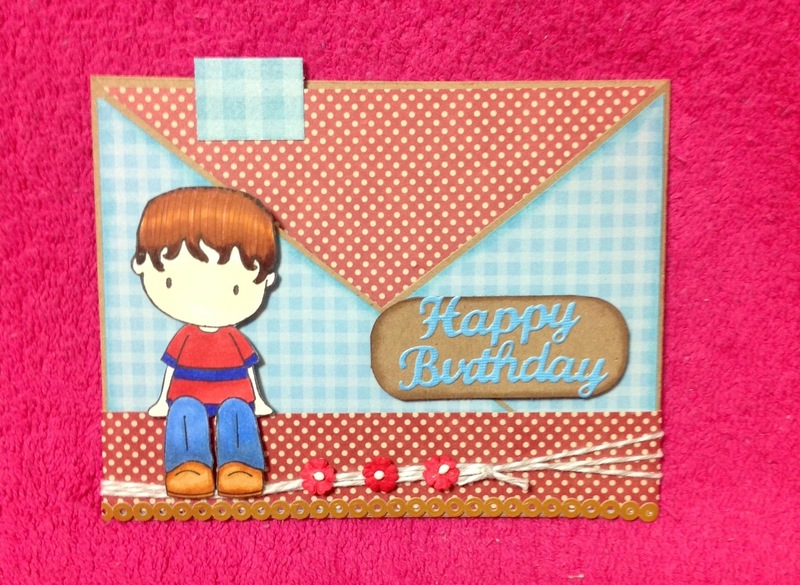 Made a card using the sweet Cute Birgitta from CC Designs Rubber Stamps. Added a fence for Birgitta to sit on. The fence is from CC Designs Cutter called Four Seasons Fence. Of course I had to add in a Memory Box. Used the Arboscello Tree in the background. Used the Metal Adaptor Plate with this die. Found on All Natural Accents. 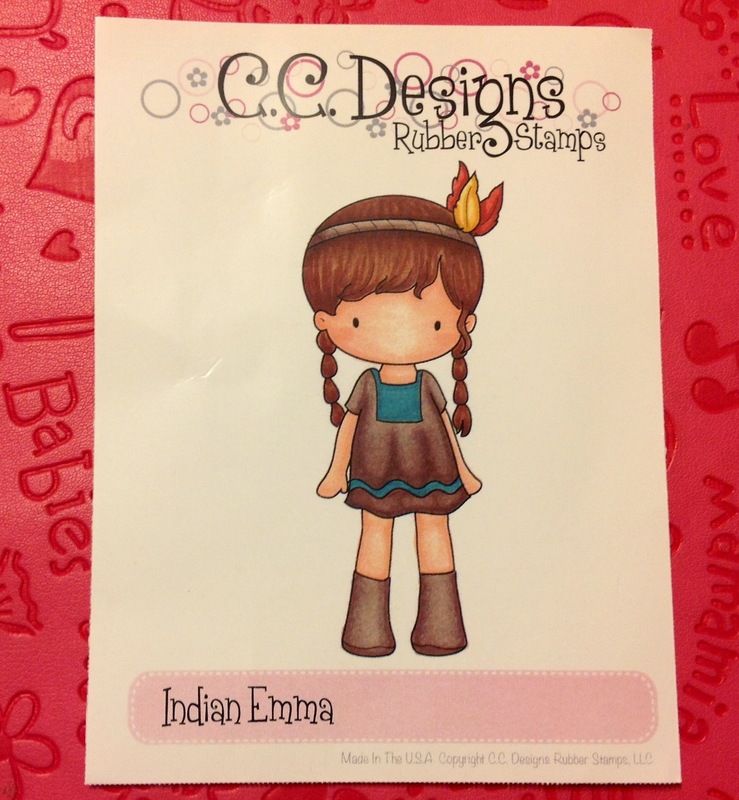 Altered Indian Emma from the CC Designs Rubber Stamps to make this green card.